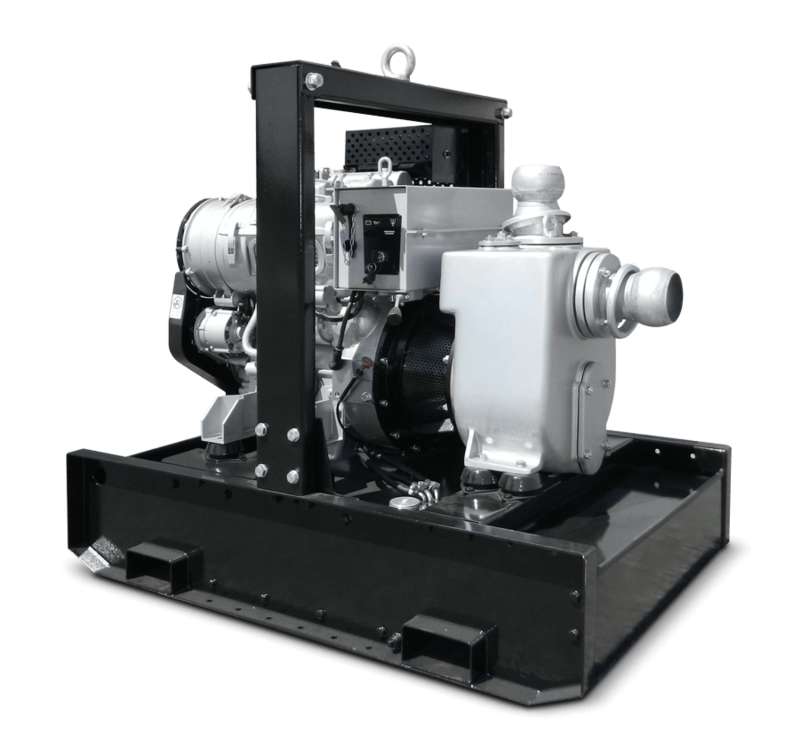 The DWA10S is a self-priming pump with water cooled engine and open set design. 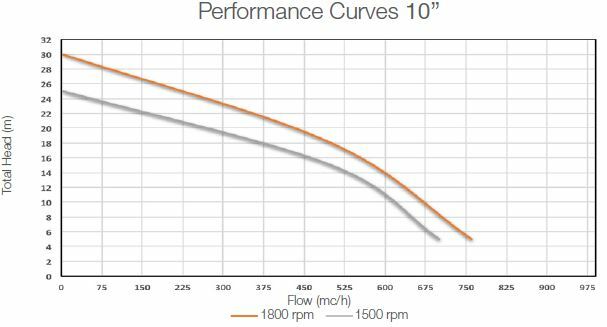 It mounts a 10” inlet/outlet that allows a maximum flow of 750 m³/h. It is made in spheroidal cast iron with high wear resistance. The standard model is built on a skid base (optional off-road trailer).